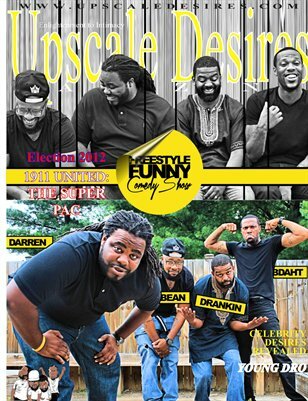 To be funny is a talent and the Freestyle Funny Comedy Crew is talented. Our cover guys entertain the people with their mix of stand up and impromptu comedy. Spear headed by the Local Celebrity himself BDaht, of 102 Jamz WildOut Wake-up Show in Greensboro, NC, these funny guys wow crowds all around the country. Along with their manager Chuck, they took the time to sit down with Peace to dish their Upscale Desires.